Locating buried utilities is an art as well as a science requiring training, experience and the right equipment. 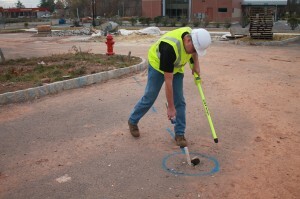 No single utility location instrument can detect all types of buried utilities. It is therefore imperative to utilize a variety of instruments which are uniquely suited to specific tasks. GPR is the newest technology for locating hard to detect utilities such as plastic pipe that is used for water and gas lines. 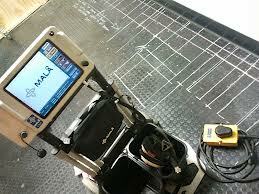 GPR is also the most effect way for detecting voids and underground storage tanks (UST’s). GPR works by sending a radio signal or series of signals into the ground. The returning signals provide information about changing ground characteristic with depth. GPR is not without its limitations. GPR radio wave signals are absorbed by soils with high clay, moisture or saline content greatly limiting exploration depth. GPR effectiveness is thus site specific and varies greatly from place to place. EM utilizes several different methods to locate utilities know as passive, conductive and inductive. 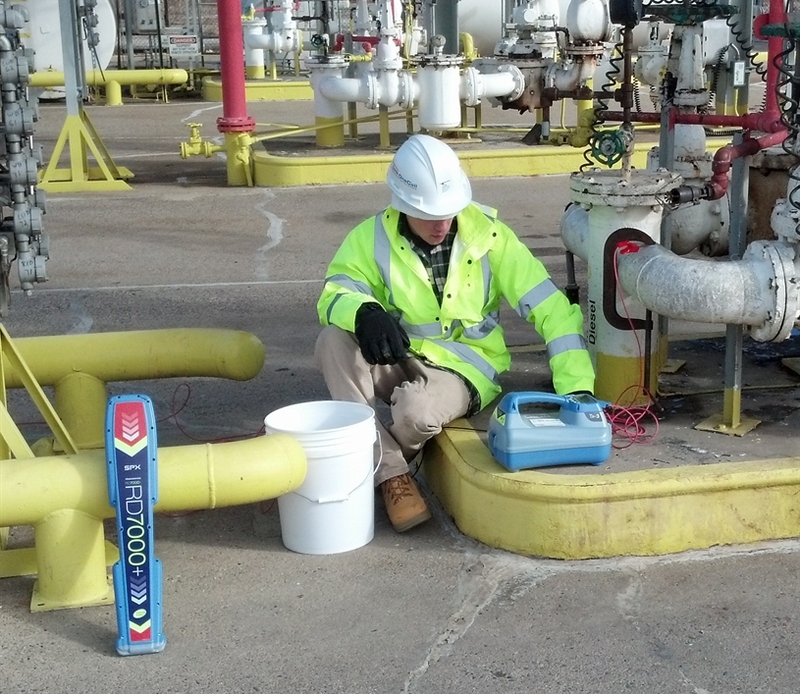 Our experienced EM Technicians evaluate each project while on site to determine the most effective methods to use. EM works by detecting the electromagnetic radio frequency emitted by conductive materials. The radio frequency is conducted or induced onto the utility by a transmitter. This signal is carried by the conductor along its length and is detected above ground with the radio frequency antenna. Often, buried electrical and telephone utilities radiate their own electromagnetic field and can be readily detected using the radio frequency (RF) receiver without inducing a current. By detecting the maximum signal strength at several locations, the surface trace of an underground utility can be determined. Concrete scanning services can help you determine the location of rebar, post tension cables, pipes and conduits embedded within concrete structures prior to drilling, cutting or coring. In addition, our concrete inspection services can help you determine the location of voids, pinpoint deteriorating areas of concrete and perform quality control inspections of newly built or existing concrete structures. FM is the method of detecting the magnetic field radiated by ferrous iron base metals. Unlike EM detection, FM can locate metal objects such as stakes, rebar and other non-attached metals. 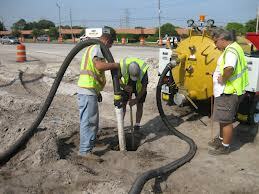 FM is also used when vacuum excavating to verify the proximity of metallic utilities or casings.